Cars, the superhit Pixar franchise, is now confirmed to have a third installment in the form of Cars 3 and it is very important that we mention here the new film seems to have a different tone to it. The tone is darker, grittier and is more mature than the previous two films. For the uninitiated, Cars is a Disney media franchise and boasts of CGI-animated anthropomorphic vehicles. The franchise began in 2006, with Cars produced by Pixar Animation Studios and released by Walt Disney Pictures. A sequel, Cars 2, was released in 2011. Names like Lightning McQueen voiced by Owen Wilson, his love interest Sally Carrera voiced by Bonnie Hunt and Mater voiced by Larry the Cable Guy became household names, with the number 95 becoming inseparably connected to the film series, as it is the car number of Lightning McQueen. The new movie introduces a major new competitor to McQueen, Jackson Storm who is voiced by the flavour of the season Armie Hammer. The first teaser was released to global audiences lastNovember and it left audiences scarred while reports even suggest that children who loved the franchise left the screening crying. It was that troubling. 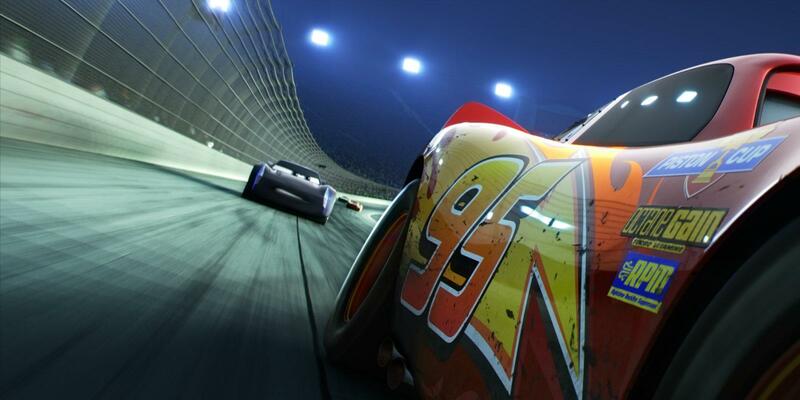 The teaser starts with the familiar car racing sequences that the franchise has grown up on. The cars zip past each other at lightning speeds even as the announcer declares that Lightning McQueen was falling behind. It is then that the sleek new car, Jackson Storm, seems to take the lead. Blue lights under the car's chassis lend an ominous undertone to the competitor. Our hero then seems to have a mechanical failure and a tire burst. McQueen flies off the track and lands extremely badly on his side. The screen then fades to black and the words 'From this moment everything will change' appear. The entire screen then lights up in flaming bits and pieces of the car, which has become more of a friend actually. The entire sequence is in exquisite slow motion which makes it even more difficult to watch. To be honest, the first teaser, just 49 seconds long, looked more like a car-safety lesson than a teaser for a kids' movie. Of course, it is important to mention here that dark and gritty are two words not entirely unique in Disney's corridors. The next teaser was more of a trailer actually as it was more than two minutes in length. Lo and behold, Lightning McQueen is not dead, although he certainly looks battered. We see the arrival of Cruz Ramirez voiced by Cristela Alonzo, an eager young female race technician who convinces McQueen that he still has it and can make a comeback to the racing track. This storyline shift does seem very similar to movies like Rocky 3, where the boxer was inspired by his old rival to make the most of a missed opportunity. Even 2012's The Dark Knight Rises sees the Dark Knight rise up from the crushing defeat, he receives at the hands of Bane, the masked marauder.